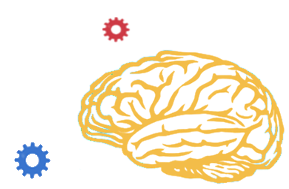 Brain Awareness Week (BAW) is a global campaign, founded by The Dana Foundation, to engage and educate the public on the advances and advantages of brain research in a worldwide celebration of the brain! This UK and Ireland events calendar will be continuously updated with new events - please check back for updates. Although the official BAW dates are 12th-18th March there are lots of events before and after the week itself, so we have extended the calendar to make sure we don't miss anythning out. We've also included brain-related events which aren't specifically being held for BAW, but we think are excellent opportunities to find out about neuroscience. Enjoy BAW at a venue near you! Know about an event which isn't listed here? Please let us know. A neuroscience conference happening entirely on Twitter under the hashtag #brainTC and anyone is free to follow the presentations. Hear, touch, see and smell your way through some of the senses and discover more about lesses known ones. Join University researchers, including neuroscientists at this science bonanza. Join us for a fun Tea Party with Edinburgh Larder, fuelled by 'brain power foods'. 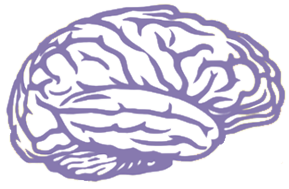 Find out more about the brain, and what brain awareness week is all about! Join Punit Yaatri for a fascinating, enlightening and uplifting presentation where he shares insights into how he composes music that heals. 18:00 - 19:00, Cambridge - "I'm not mad : I only bend reality so that I can see around the corners"
A public lecture will be delivered by Professor Paul Fletcher. John Gillies and poet Ken Cockburn discuss poetry's place in the world of medicine and care. 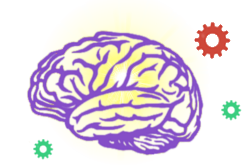 Come and test your knowledge of the brain and its function in our fun test your knowledge quiz! Come to watch the film screening of Unrest, a documentary of Jennifer Brea's struggles with Chronic Fatigue Syndrome(ME). Visit the exhibit to learn more about how the brain and nervous system work. An exploration of consciousness - exhibitions, workshops and talks exploring science through contemporary art. 12:00 - 13:00, Staffordshire - Meet the Brain Expert! 18:00 - 21:00, Staffordshire - Documentary Night : "By Reason of Insanity"
Come be fascinated by Louis Theroux’s “by reason of insanity”. A free Brain Awareness Week screening of a documentary about renowned academic and research scientist Dr Marian Diamond. Join us as we discover the wonders of mindfulness. 17:30 - 19.45, Edinburgh - Neurotheatre – Live Brain Surgery! Join us to explore biological rhythms with Dr Tyler Stevenson? Take part in hands-on experiments, demonstrations and short talks by scientists. 18:00, Aberdeen - What is an FFC-MRI scanner and how can it benefit patients? 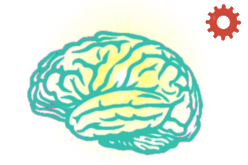 Enjoy a FREE screening of the film " A beautiful mind"
Explore the wonders of the brain through creativity and making, with London Brain Project? A unique opportunity to see for yourself the original Mark-I scanner ? Come along to a day of family fun packed full of free activities for all ages. A lecture on how museum-based research is helping us understand the complex mechanisms of the human brain. Dr David Werring, consultant vascular neurologist, will present a talk entitled “Cavernous Malformations"
Join Dr Zoe Kourtzi, Department of Psychology, for discussions about the brain. A free screening of a documentary about renowned academic and research scientist Dr Marian Diamond. Thursday 15th March, 18:00 - 22:00, Exeter - Neuroscience: Is it all in our Minds? Wednesday 14th March, 17:30 - 19.45, Edinburgh - Neurotheatre – Live Brain Surgery! Thursday 15th March, 18:00, Aberdeen - What is an FFC-MRI scanner and how can it benefit patients? Tuesday 13th March, 12:00 - 13:00, Staffordshire - Meet the Brain Expert! 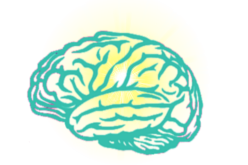 Tuesday 13th March, 18:00 - 21:00, Staffordshire - Documentary Night : "By Reason of Insanity"
Explore free hands-on activities for all ages and learn about the wonders of the brain. Monday 12th March, 18:00 - 19:00, Cambridge - "I'm not mad : I only bend reality so that I can see around the corners"
Thursday 22nd March, 18:00 - 19:00, Cambridge - How do Brains Learn about the World Around us?